Celebratory reception with food & drinks! 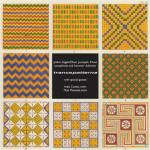 John Ingle (San Francisco) and Dan Joseph (New York) have collaborated since the late 1990s, developing a unique style of pattern-based improvisation and collaborative composition. 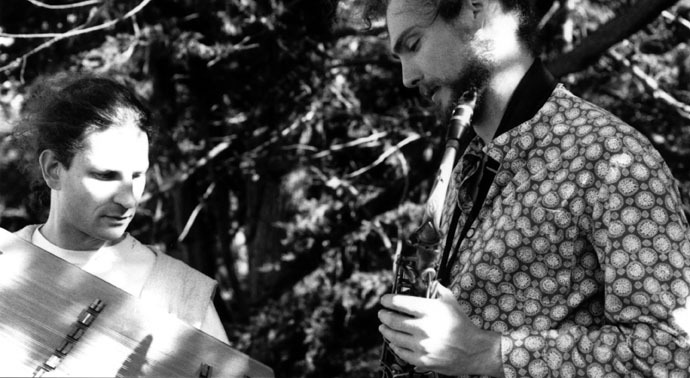 With the unusual instrumentation of alto saxophone and hammer dulcimer, their music is built upon fixed modes and simple melodic figures from which they develop and improvise their collaborative works. With a sound combining elements of minimalism, free jazz and Indian raga, they have developed a devoted following in the Bay Area where their collaboration began, and in New York where they have appeared at Roulette, Issue Project Room and the other venues. Their CD trancepatterns with guests India Cooke, violin, and Miya Masaoka, laser-koto, is available from the Deep Listening Catalog and in digital form from Mutable Music. Post a comment — Trackbacks closed RSS 2.0 feed for these comments This entry (permalink) was posted on Thursday, May 29, 2014, at 2:09 pm by Dan Joseph. Filed in press release.